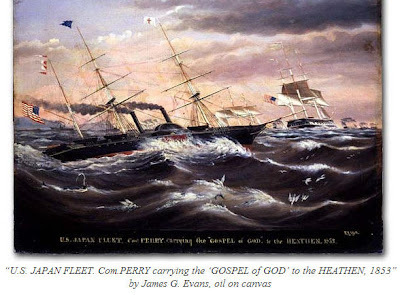 Many know of Commodore Perry (and his "black ships") who ended Jpanese isolationism... However, it was Townsend Harris who was invited to the court of the 13th Tokugawa Shogun, Tokugawa Iesada, where he negotiated the Treaty of Amity and Commerce Between the United States and Japan, signed July 29, 1858, and subsequently ratified by the United States Senate that December. Every year a delegation from Shimoda, Japan (where he landed) visits his grave in Brooklyn.